All information is provided in good faith and may be subject to change. If you are aware of any details that need to be added or amended, please get in touch. Sunday 9 December – Christingle Service at St Thomas’ Church, 4pm. Sunday 11 November – Village Remembrance Service at St Thomas’ Church, at 10am. A special service commemorating the centenary of the Great War. 16-18 November – Traidcraft weekend at St Thomas’ Church. Saturday 24 November – Christmas Fair at St Thomas’ Church, organised by the Methodists, and including Santa’s Grotto. Starts 11.30am. Saturday 24 November – Hepton Singers at St Thomas’ Church, at 7.30pm. Sunday 23 September – Village Harvest Festival at the Methodist Church at 10am. Sunday 23 September – Sung Evensong led by Concordiamici at St Thomas Church, at 6.30pm. Saturday 11 August – find out more about the plans for the Sunday School at 10am at the Methodist chapel in Heptonstall. Wednesday 15 August – find out more about the plans for the Sunday School at 7pm at the Methodist chapel in Heptonstall. Monday 27 August – Jumble Trail through the village, with extra tables in Weavers Square, tea, coffee and cakes in the church. Wednesday 29 August – Make and Take: craft and baking session in St Thomas’ Church from 3pm to 5pm. Saturday 7 July – Heptonstall Festival. Theme: Myths and Monsters. Saturday 28 July – Cantorelli sings a medley of songs, madrigals and motets at Heptonstall Methodist Church, admission free, collection in aid of Slow the Flow Calderdale. Starts 7.30pm. Wednesday 2 May – Children from Heptonstall School will be dancing around the maypole after school, followed by a May King and Queen crowning. St Thomas’s will be providing teas & coffees & PFA will have a cake stall. Monday 19 May- The Wedding Hatters Tea Party at Jean Crowther’s house in Slack Bottom, tickets £3 for sandwich, cake and tea/coffee, plant stall, raffle etc. Monday 12 March – Blackshaw Head Chapel, Memories Memories event from 1pm to 4pm. Come and bring your pictures and tell us your stories for the Pennine Digital archive. Saturday 24 March – 7.30pm A concert by two local choirs, Three Valleys Gospel Choir and Zarebi, at Heptonstall Methodist Chapel. Tickets £7/£5. Friday 30 March – Pace Egg Play at Weavers Square. Times: Heptonstall Pace Eggers at 11.15am, 12.30pm and 2pm, then Midgeley Pace Eggers at 3pm, last performance of Heptonstall Pace Eggers at 4pm. Saturday 2 December – 1pm Blackshaw Head Chapel Christmas Fair with Santa, stalls, games, lunches at Pat’s Pantry. Sunday 10 December – 2pm, visit from Cross Hills Methodists to Heptonstall Methodist Church to perform the Promise, a musical written by Janet Revill. Sunday 10 December – 4pm, Christingle service at St Thomas’ Church, Heptonstall. Sunday 10 December – 5pm Cantorelli’s Charity Christmas Concerts, Carols and Readings at Blackshawhead Chapel. Wednesday 13 December – Heptonstall Village Team Christmas Lunch at St Thomas’ Church. Sunday 17 December – 10.45am, Nativity Play at Heptonstall Methodist Church. Children are invited to take part. Sunday 17 December – 6.30pm, Village carol service at Heptonstall Methodist Church. Sunday 17 December – 4pm Blackshawhead Chapel, Christingle Service. Friday 22 December – 7pm Blackshawhead Village Carol Service, Blackshawhead Chapel. Monday 25 December – 10am, Shared Christmas Day Service at the Heptonstall Methodist Church. Monday 25 December – 10am, Blackshawhead Chapel Family Christmas Morning – a short informal celebration. Saturday 25 November, Methodist Christmas Fair at St Thomas, opened at 11.30am. Visit from Father Christmas and pie and pea lunch. Saturday 25 November, 7.30pm, concert by the Hepton Singers in St Thomas Church. Saturday 1 July – 10.30am to 9pm, Heptonstall Festival. This year’s theme is Hearts, from the village with a big heart. The event starts with Heptonstall Fell Race at 10.30am, followed by activities in the ruins from noon, acoustic music in the church from 12.30pm and bands in Weavers Square also from 12.30pm. Friday 7 July to Sunday 9 July – 11am to 5pm each day, Hebden Bridge Open Studios event, with several Heptonstall venues taking part. Saturday 8 July – Hepton Singers summer concert in St Thomas’ Church. Thursday 1 June – 7.30pm, the second of the Pennine Spring Music Festival concerts in St Thomas’ Church. Saturday 3 June – 7.30pm, the third and final of the Pennine Spring Music Festival concerts in St Thomas’ Church. Friday 23 June – 8.30pm til late, the return of the Open Mic to the White Lion, Heptonstall. All welcome. Saturday 13 May – Chapel sponsored walk. details tbc. Saturday 20 May 3pm to 9pm, Heptonstall Family Day. Lots of fun for the family all based on 100 years ago theme, to include a Maypole performance by Heptonstall School children, crowning of May Queen & King, Children’s parade, games, entertainment, fabulous story walk with Ursula Holden Gill and a spectacular FlameOz fire show!! Tuesday 30 May, 7.30pm, the first of the Pennine Spring Music Festival concerts in St Thomas’ Church, Heptonstall. Friday 31 March to Sunday 2 April – three day gin tasting festival at the Cross and the White Lion, with 111 gins to sample. Maundy Thursday 13 April – 7.30pm service at St Thomas. Good Friday 14 April – Pace Egg play in Weavers’ Square, Heptonstall pace egg at 11:15am, 12.30pm, 2pm, 4pm. Also Midgley pace egg will be performed in Weavers’ Square at 3pm. Good Friday 14 April – 4.30pm Service of meditation at St Thomas’ Church. Easter Sunday 16 April – 10am service in St Thomas’ Church. This is a joint service but the Methodist chapel will still not be in use. Saturday 29 April – 7.30pm the Hepton Singers will give a concert in the Church with Rudsambee Company of Singers from Edinburgh. Sunday 12 March – 10am to 6pm, table top sale and car boot sale at the bowling club. Sunday 19 March – 10.30am start, Heptonstall Fell race. Registration from 8.30am in the Cross pub. Full details available here. Friday 24 March – Open mic evening at the White Lion, all welcome. Tuesday 3 December – Meeting of new Friends of Heptonstall Chapel and Sunday School at the Cross, 8pm. Sunday 4 December – Heptonstall School Christmas Fair, 2pm to 4pm. Sunday 11 December – Christingle at St Thomas’ Church, time tbc. Sunday 18 December – 11am Nativity service in St Thomas’ Church due to planned conservation works in the Methodist chapel. Children wishing to take part should attend at 9.15am to rehearse, all costumes will be provided. Sunday 18 December – 6.30pm Village Carol Service at St Thomas’ Church. Friday 23 December – 8.30pm. Open Mic at the White Lion, all welcome to join in. Saturday 24 December – carols in Weavers Square, time tbc. Sunday 25 December – 10am Village Christmas Day Service at St Thomas’ Church. Saturday 31 December – Bowling Club open from 7pm to late. Friday 4 November – 6pm to 10pm, Bowling Club Bonfire Night event. Fire lighting at 7pm. Sunday 13 November – 10.30am Village Remembrance Service at St Thomas’ Church. Saturday 19 November – bellringing from 2pm to 5.15pm approx. 19-20 November – Fair Trade weekend at St Thomas’ Church, including a light show at 8pm on Saturday 19 November by Spiral Stage Lighting. 25-26 November – Heptonstall pantomime is back! Batman and Robin will be on stage, with a prize for the best superhero costume. Performances are at 2pm and 7.30pm on Saturday 25 November, and at 7.30pm on Sunday. Saturday 26 November – Methodist Christmas Party to be held in St Thomas’ Church due to planned conservation works. Saturday 26 November to Sunday 27 November – Pop-up Christmas market at the old Co-op (opposite Tony’s post office), featuring work by 7 local artists offering knitwear, art, jewellery, photos, cards and much more. Sunday 27 November – 4pm, concert by Hepton Singers at St Thomas Church, “Masses and Motets”. Friday 28 October – bellringing from 2pm to 5.15pm approx. Sunday 4 September – 12.30 – 15.45 approx bell ringing at St Thomas’ Church (this ringing has been specially arranged to mark the centenary of the death in World War 1 of James Hollinrake, who was a bell-ringer at St Thomas’). 4 September – Annual Methodist Chapel Covenant service will be held at St Thomas’ Church, as the chapel is being closed for repairs. All further Methodist services will be held at 11am at the St Thomas’ Church until further notice. Friday 16 September – Village team trip to Harrogate Flower Show. Sunday 18 September – Sunday Swing Hula-Hop at the Bowling and Social Club. Saturday 24 September – 12 – 3.30pm, organ masterclass at St Thomas’ Church. 19-20 August – Ted Hughes Festival at St Thomas’ Church. Further details to follow. Monday 29 August – Heptonstall Art, Craft and Jumble Trail, 10am to 3pm, route is between the Bowling Club and Silver Street. Extra spaces at Weavers Square and the pubs. 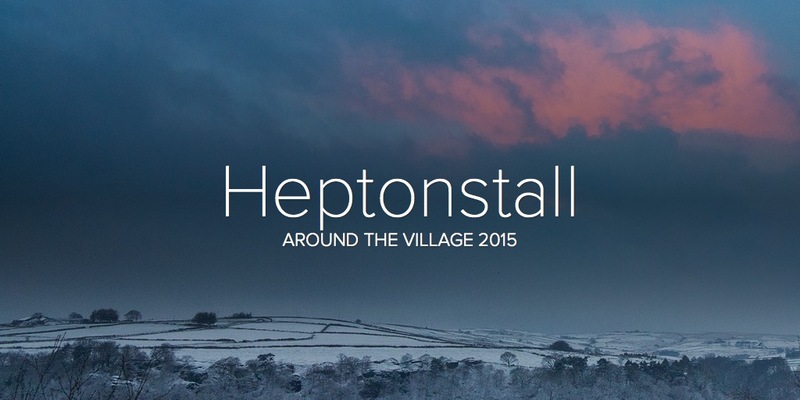 Saturday 2 July – Heptonstall Fell Race and Heptonstall Festival. This year’s event has a Victorian circus theme. Thursday 14 July 2016 – The Village Team AGM at 7:00pm in the Social and Bowling Club. Saturday 25 June 14.30.-17.45 Peals (approx. 3 hours’ continuous ringing) at St Thomas’ church, Heptonstall. Sunday 26 June, 10.30am to 11.30am, bell ringing at St Thomas’ church, Heptonstall. 7th May – concert by Cantorelli at St Thomas’, time tbc. Thursday 12 May 10.30- 13.45, Peals (approx. 3 hours’ continuous ringing) at St Thomas’ church, Heptonstall. 21st May 2016 – concert by Alyssium at St Thomas’, time tbc. Wednesday 13th April – 2pm, Ladies’ Evening at Heptonstall Chapel. Saturday 2 April – 2.30-5.45 Bell ringing at St Thomas’ Church. Saturday 30 April – 7.30pm Race night at Heptonstall Social and Bowling Club, pie and peas supper, raffle etc. Ash Wednesday 23rd March – 7.30pm service at St Thomas’. Good Friday 25th March – Pace Egg in Weavers’ Square. Performances at 11.15, 12.30, 14.00. 15.00(Calder High), & 16.00. Saturday March 26 – Heptonstall’s first family fun day from 11am to 9.30pm. Fun, games and shows at St Thomas Church and the Bowling Club. Have your picture taken on a reproduction of the famous seesaw. See Ben (Mr Bloom) and Mimi in interactive street theatre and workshops. Children’s parade led by the Drum Machine. Circus acts, street performers, maypole dancing. Children’s disco at the bowling club in the evening. A vintage bus will be picking up from Hebden Bridge Picture House and Mytholm Meadows, see timetable. Easter Sunday 27th March – 10am, Shared service beginning in the Methodist Chapel, followed by procession through the village to St Thomas’ for Holy Communion. Hi there! Heptonstall Festival returns on Saturday 20th September this year – and the team are working really hard to build on the amazing event last year. Check back here for festival news soon! Thank you for your thoughts. I’d like to clarify that the Village Team’s aims are to provide events and social opportunities solely for the older parish residents and other members of our Heptonstall community, and that we’re not providing either large scale events or inviting in people from farther afield. We consult with our older residents/past residents on an ongoing basis about what they would like to do. We’ve discovered that it’s been very positive for a lot of our isolated elders to be able to catch up with old friends and natter about their shared past. Please look at the Team’s aims and objectives which you can find on this site under Community, or the most recent Heptonstall Newsletter also explains the reasoning behind our activities as well as reporting on our various small social events. Hopefully this will reassure you. Jacky Kelly, on behalf of Heptonstall Village Team. Hello, I’d love to come to the Foster Wood service on May 3rd at 8am. On the poster at May’s shop it says you can meet on Popples Common beforehand if you’re not sure where to go. Please could you clarify where on Popples and at what time. Thankyou, Pippa Allen.